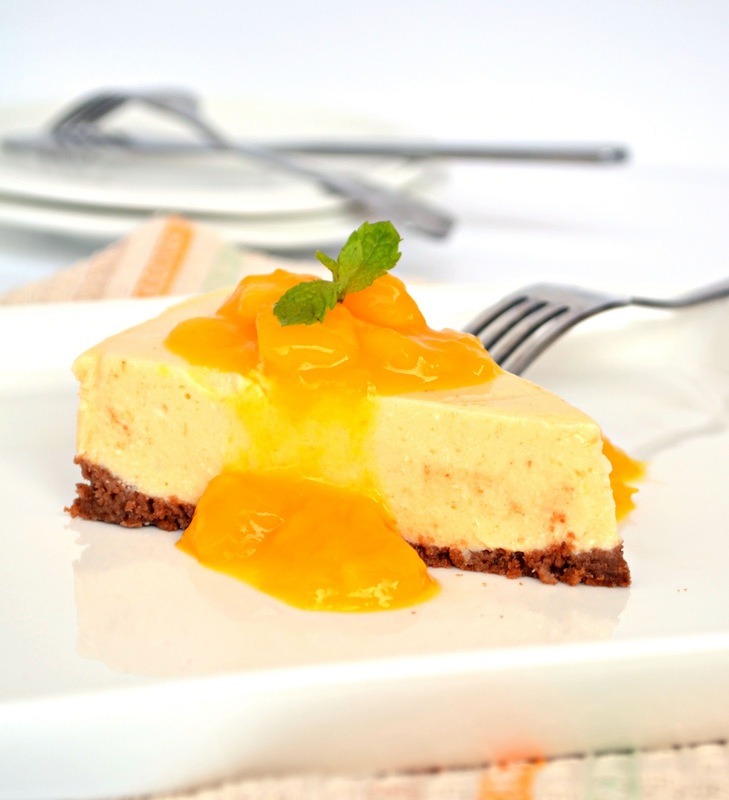 Before the Mango season runs out, here’s your chance to make an amazing low calorie dessert. Give in to that sweet indulgence and have a slice! Combine the biscuits and butter in a bowl and mix well to form a crumbly mixture. Spread this mixture on the bottom of a 150 mm. (6″) diameter loose-bottomed cake tin and press well to form even layer. Blend the paneer in a blender till it is smooth and free of lumps, adding some milk if required. Keep aside. Combine the drink mix and remaining milk in another bowl and mix well. Add the blended paneer and mangoes to the above mixture and stir well. Pour the cream cheese mixture over the set biscuit base and refrigerate for 2 to 3 hours till set.